Dr. O’Donnell’s OCT in his office. He says this kind of advanced instrumentation sends a high-tech message to patients, and allows his practice to create true wellness exams. Advancements in eye health care have been dramatic in my nearly 20+ year career as an OD. Chief among these advancements is Optical Coherence Tomography (OCT). The enhanced power to diagnose has made this instrument a clear win for us, both in patient care and financially. However, our definition of return on investment goes further than money to include our ability to grow long-term by providing superior care. The OCT empowers me to be a better a doctor by giving me better information on which to base my diagnoses. Our OCT offers true value, not just from reimbursement, but in allowing us to educate a patient by physically showing the issue(s) of concern, such as macular or optic nerve changes. An informed and educated patient is more compliant in treatment because they understand what is at stake. The cost for an OCT can range from $35,000 to around $65,000. Monthly financing payments vary, but a safe assumption would be an amount starting around $700. We lease the unit with a funding group I have worked with for years. Reimbursement for the test can be expected to be around $40, with fluctuation in that reimbursement changing with type of OCT you have, the insurance company that is reimbursing you and other factors. In other words, you would need a minimum of 18 patients per month to meet this financing payment. 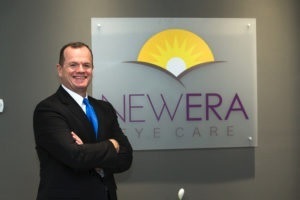 My practice, New Era Eye Care, chose Optovue iVue for our OCT, as it was the best instrument to serve our purposes, and we had a successful long-standing relationship with its local representative. The real-time acquisition of image, ability to asses retina, optic nerve and anterior segment, along with the provision of system upgrades, were important deciding points for us. Further, Optovue offered a training program for the OCT, of which we took full advantage. For any medical testing, including imaging by the OCT, patient instruction is vital. So, we make sure our staff is trained to educate patients about the instrument, how it works and why it’s important to their eye health care. To keep our staff up to date on our instruments, we provide an ongoing internal training program. The goal of this training is for staff to be able to flawlessly perform, and educate patients about the purpose of all in-office diagnostic testing, including the OCT. Staff has been trained to refer all interpretation of testing data to me, explaining to patients that I will review the results with them in the exam room. The OCT provides instant images of the eye, whether sub-surface, or form and structure, that is reviewed with the patient by the doctor for full comprehension. 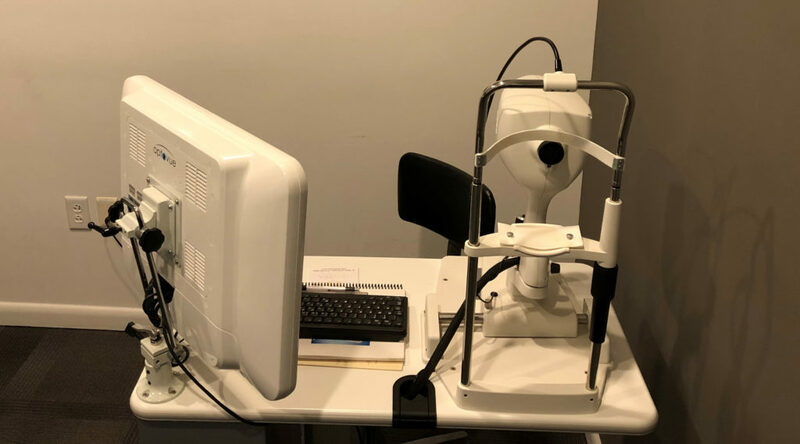 One staff member is designated for performing all in-office medical eye testing, but all of our staff can easily perform every test due to our internal training. Prior to testing, support staff discuss with patients the use of the OCT, and the reason for the imaging. I then interpret the results, and review them with the patient in the exam room. The education our staff provides, combined with my review of the results, in which I connect their results to my treatment plan, increases patient compliance. For instance, a glaucoma patient may be more likely to regularly use their prescribed drops following a review of their OCT imaging, and what it shows me regarding the state of their disease. The office has a designated testing area for privacy and standard testing. Our OCT sits on a table taking very little space, as the table is roughly 18 inches in width and 34 inches in length. All testing, including the OCT, is compatible with our electronic health record software, and the test can be reviewed easily with the patient in the exam room or testing area. An area where my practice is expanding is in our Eye Healthy programs in which we have different wellness programs for patients to choose from. Each program comes with different tests, and a different overall fee that covers all of the tests in the program. The OCT meshes quite well with these in-office well-health programs. The iVue OCT wellness program is a scan performed with minimal time that offers excellent baseline eye health data. Some of our patients with no disease symptoms themselves, but a family history of eye disease, choose the advanced testing we offer, including imaging by our OCT. And even some patients with neither symptoms, nor family history, opt for the power of tests like the OCT. The OCT is not a billable insurance scan unless a disease has been diagnosed, or a specific eye health concern is being investigated. The Well Health program, which includes iVue OCT, has resulted in an additional revenue stream for our practice. 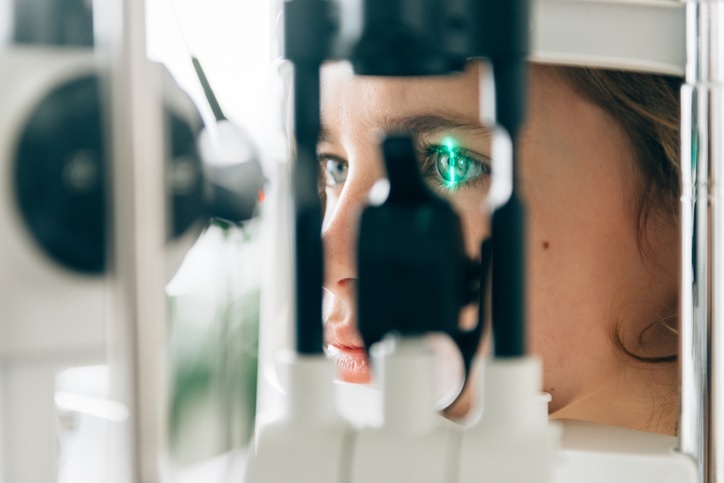 Most patients don’t mind paying the out-of-pocket costs once they understand the benefits to safeguarding their eye health, and this advanced testing creates loyalty between practice and patient. They appreciate being assured, with pictures, of good baseline eye health. You have to crunch the numbers, and calculate if your practice can afford to purchase an OCT based on your projection of the number of patients who will likely get testing using the instrument. But a good rule of thumb for us has been to first think about what’s best for the patient. 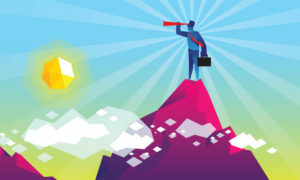 If a new instrument will provide better care and service for our patients, there is a very good chance it also will provide financial gains and practice growth for us.